When a business decides to choose an online store solution via Magento development, it is actually looking for a reliable, versatile, and powerful solution. Magento is a PHP-powered ecommerce web application that enables developers to build beautiful, versatile online stores or ecommerce websites. It is a feature-rich platform, offering a full control to the site owner so that they can grow their online revenue. Because of its resourceful features and ease of use, many merchants use ecommerce solution powered by Magento. We are a professional Magento development company based in Sydney, Australia, focused to offer superior quality ecommerce website development solutions. Utilising this powerful ecommerce platform, our team of experienced and highly skilled Magento developers can deliver exceptional solutions that will meet your every expectation. Whether it is designing an attractive, easy-to-use versatile online store, or developing a robust online store as per your preferences, we can do it. Developing a Magento-powered ecommerce site as per your exact taste is a tough task and it requires in-depth knowledge of several Open Source technologies including PHP, MySQL, and more… Our experienced Magento developers have that in-depth knowledge. Besides, we support and love Open Source and take pride to stay updated with the latest. That is why, when you come to us with your Magento requirement, we assure that you always get a reliable solution, which is not only scalable and flexible, but high performing, as well. Boasted with a scalable team of professional Magento developers, along with over 10 years of industry experience, enable us to develop and deliver excellent quality solutions. Further, every project we undertake passes through a well-set procedure, along with stringent quality parameters, which means you get an outstanding solution, just the way you wanted it. Our procedure is clear and straightforward, and nothing stays amiss; hence, there will be no hidden costs or surprises when you team with us for Magento web development. At Webstralia, we even offer our developers for hire at affordable rates. 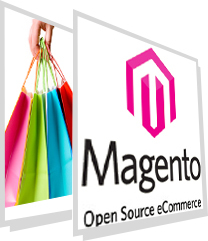 Therefore, hire our Magento developers for feature-rich, scalable, and beautiful ecommerce solutions. Contact us with your requirement and know how we can help build excellent online store solution via Magento development.